At the end of 80’s the boom and energy that erupted which built up the movement of “Madchester” were truly golden days in Manchester club land. It is also an era that has now become steeped in myth making, self-eulogies, book deals and the milking of tenuous links to a building on the corner of Whitworth Street. One person who was genuinely at the epicentre of it all and role is vastly understated to the story was Dave Booth. Booth’s club land legacy goes way further back than my first forays on a Manchurian dance floor, beginning his DJ journey as a resident in the cult status Roxy room at “Pips”, a club which offered an alternative subculture and music policy to standard nightlife and the mainstream. Pips was the venue where a bunch of fledgling pre joy division Salford upstarts called Warsaw played a debut gig. Dave Booth’s roll and club nights he was part of was pivotal to the formulating of a Madchester scene. He was DJ at Devilles, The Venue , and the Hacienda student Monday nights and my first experience of Dave’s musical policy at Isadora’s on an art college social. It was the night my pre conception and stereotypical idea of a DJ and club was dismantled. The soundtrack of The Stooges being played alongside Happy Mondays, The Stones alongside The Roses, 60’sgarage bands alongside Deelite. Vast record collections with the skill and choice of tunes in a room bathed in psychedelic lights created the perfect vibes and night that awakened my ears and opened my mind like many others. Dave Booth has a (not often mentioned) part in the early story of The Stone Roses and three of the most important gigs in popular culture. Dave was a champion of the band from the beginning had links to band members through club life. 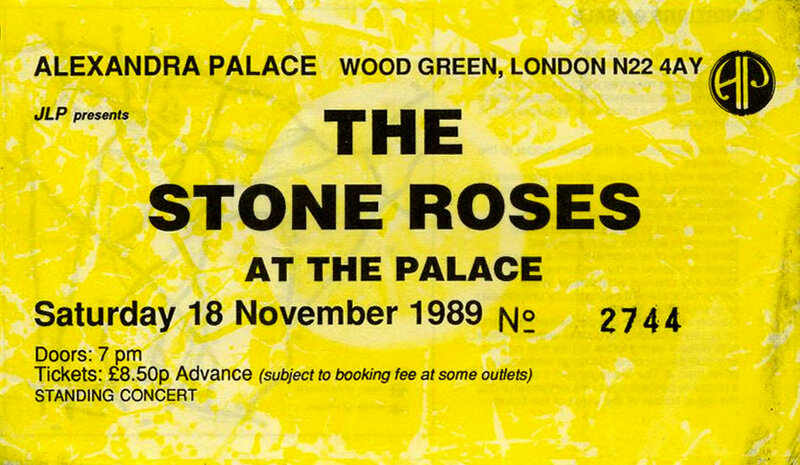 When The Roses discarded with the idea of using support bands for their two biggest gigs and decided to have a DJ instead, Dave was the chosen main DJ at the Blackpool Empress Ballroom and London’s Alexandra Palace gigs, he was also part of the supporting cast of DJ’s for the ground breaking gig at Spike Island. In the last decade or so Dave had been resident at Liverpool’s Garlands club and more recently hosting his Qwerk nights among others. The Roses connection has been maintained with his DJ sets at many of the after show parties at the reformation gigs over the last few years. His set on board the good ship Shiiine to Amsterdam promises to be a real highlight of the weekend.